One perk of traveling to a big city for a marathon is having a ton of good food choices post-race, especially if you stay in town for at least a day or two. 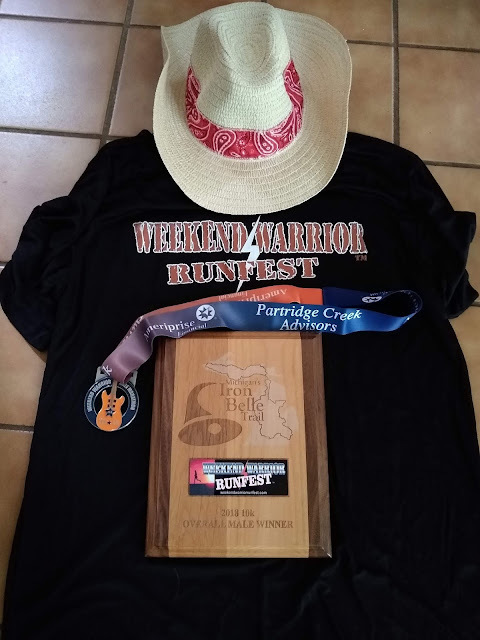 Running the Mississauga Marathon gave me the opportunity to try food in both Mississauga (Ontario's third most populous city) and Toronto (Canada's largest city). 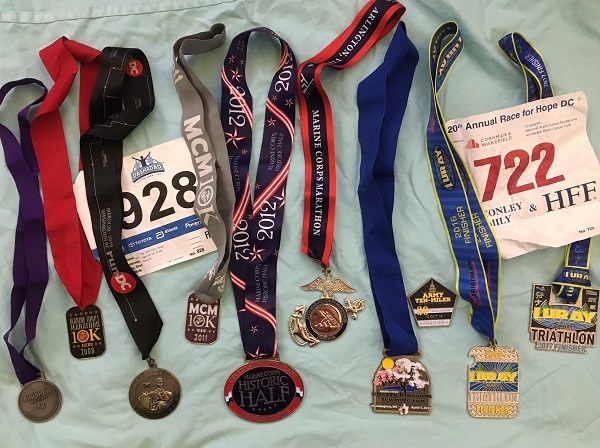 I ate my own pasta in the hotel the night before the marathon. For lunch that day, my family and I tried an average pizza place in Mississauga that is not worth writing about. Luckily, everywhere else we tried after the marathon was much better. After resting at the hotel for a couple of hours post-race, my family and I headed to Toronto to try a brewpub. Unfortunately, they said they had a "problem in the kitchen" and were not serving food. We had just parked and paid for parking, so we decided to wander the streets of Toronto looking for an open restaurant (most of the restaurants in this area were closed on Sunday). Luckily for my tired legs, we stumbled upon Portland Variety before they closed for the day. I wasn't craving brunch food (I really wanted a burger and fries), but Portland Variety was only serving brunch. I had no idea what to expect, but I think my food would have exceeded any expectations I could have had. I ordered the huevos chilaquiles (scrambled eggs, chorizo, refried beans, crispy corn tortillas, avocado, queso, tomatillos). 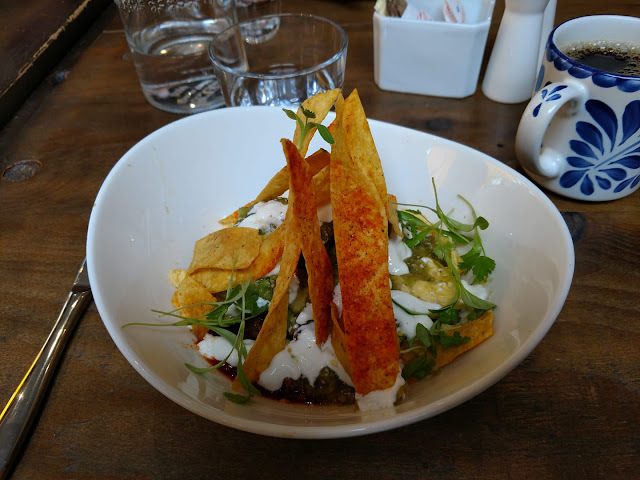 After my first taste, I thanked the Good Lord for leading my tired soul to Portland Variety and proceeded to devour the dish in what probably was a record time. Also of note, one of my daughters ordered the brioche french toast (fresh strawberries, cream cheese mousse, organic unpasteurized amber maple syrup). Phenomenal! 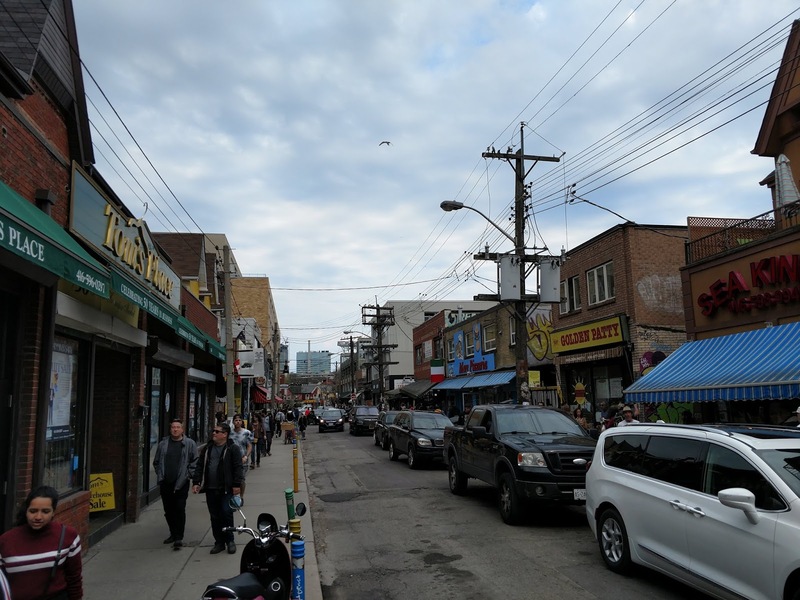 We really wanted to see Toronto's Kensington Market. It was only about a mile walk from Portland Variety. The market is full of interesting shops and restaurants, including Asian, Latin American, and Caribbean cuisine. 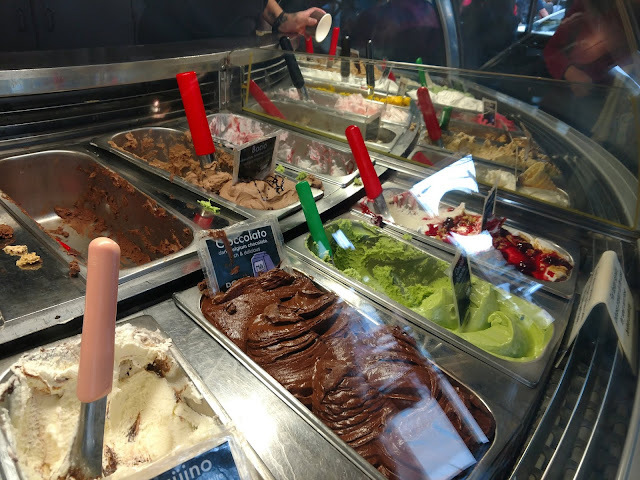 At one point, I saw a gelato shop across the street. My body went into autopilot, and I immediately crossed the street and walked in without saying a word. My wife, Allison, understood and agreed with my decision, and our two daughters were thrilled, of course. Dolce Gelato was packed, but we lucked out and found an open table right after ordering our gelato. We each ordered a small dish with two flavors. They were all excellent, but my favorites were the hazelnut I ordered, the chocolate hazelnut that Allison ordered, and the raspberry that one of my daughters ordered. Allison was recently in Italy and said Dolce's gelato compared well to the gelato in Italy. After spending a lot of time on our feet in Kensington Market, we had to decide on a place to grab dinner. It was a tough choice because so many restaurants looked good. 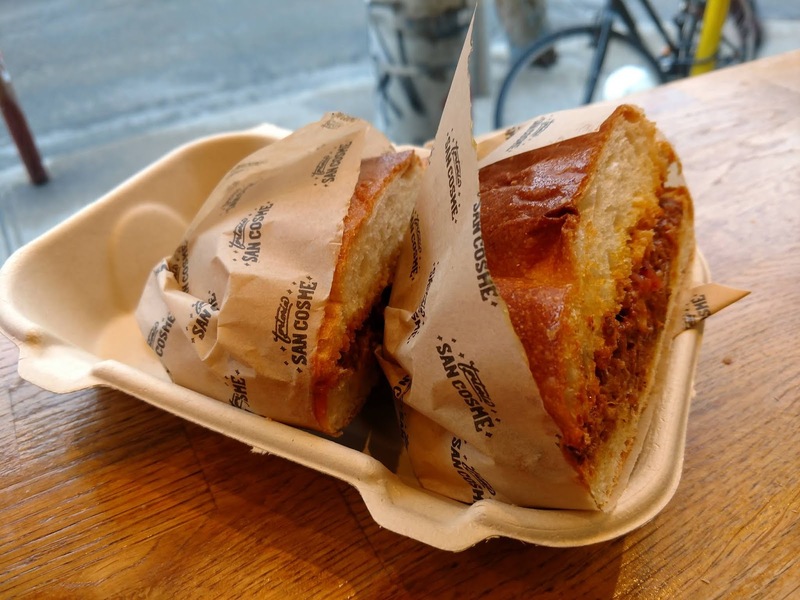 I had read good things about Torteria San Cosme, and we weren't looking for a huge meal because we had just had brunch a few hours earlier. 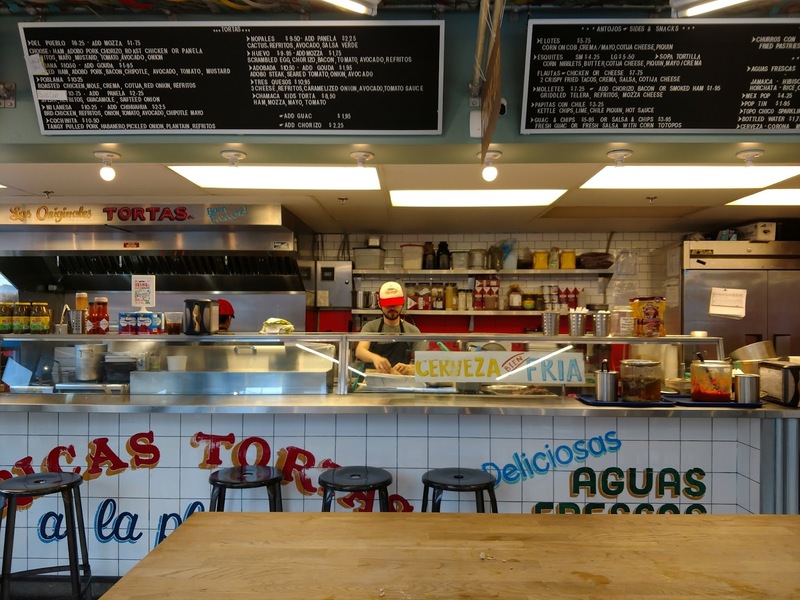 As its name suggests, Torteria San Cosme specializes in tortas. Allison and I both ordered tortas, and we ordered cheese flautas for the girls. I also finally ordered my first post-marathon beer, a Tecate. Amazing food. 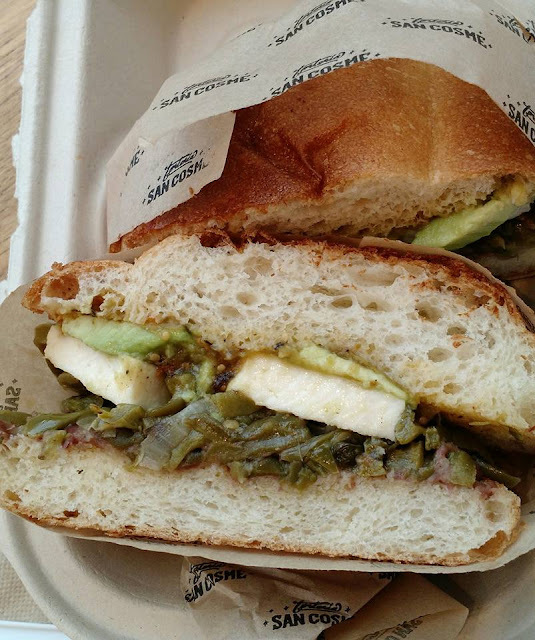 I loved my tangy pork torta, but Allison's torta with cactus, avocado, cheese, and salsa verde was even better. I wish this restaurant was in my neighborhood, so I could try more of their food. Even though this a food report, I have to mention the Riverwood Conservancy in Mississauga. 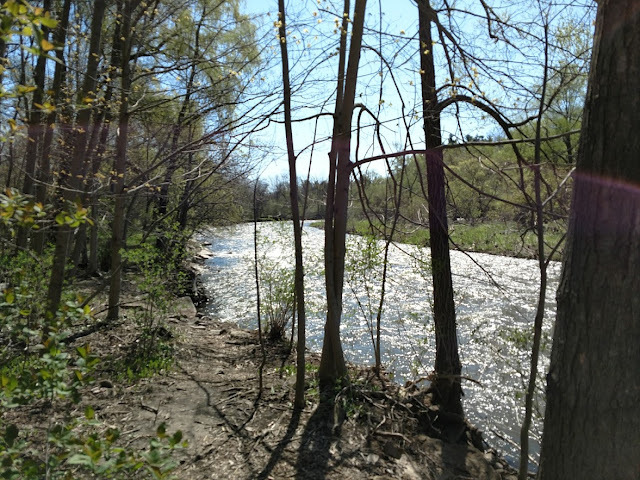 The morning after the marathon, we visited this 150-acre nature preserve on the shores of the Credit River. It is beautiful, and I highly recommend it to anyone visiting the Toronto area. After walking the trails of the Riverwood Conservancy, we were ready for lunch. Mississauga's South Asian community makes up nearly a quarter of its population. We love Indian food and figured we had to try some before leaving town. Our last meal of the trip was at Avani Asian Indian Bistro in Mississauga. The restaurant is not in the city center but in a strip mall a little bit north. It is worth the drive. 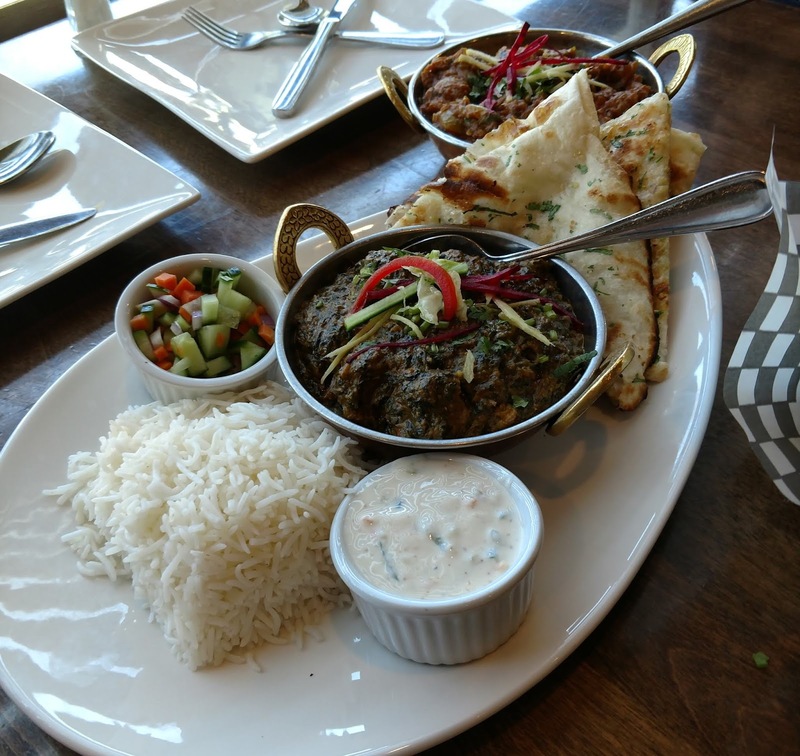 Our girls love palak paneer in general, and I think Avani's is their new favorite. My methi lamb was perfect, and Allison's baingain bharta was fantastic. 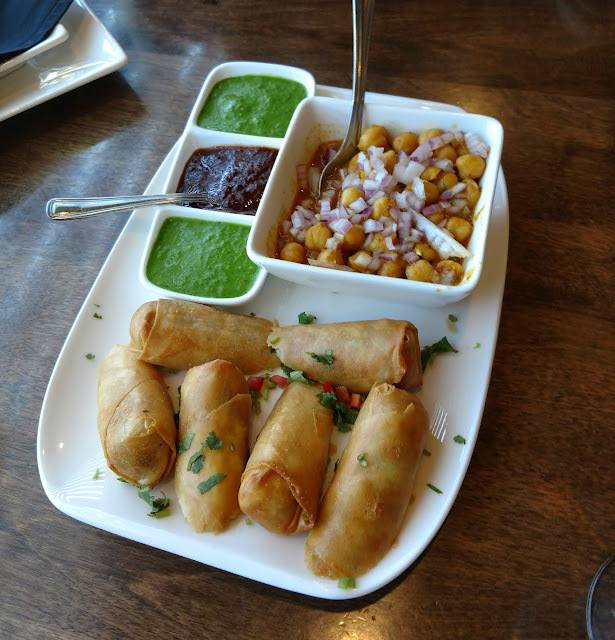 The food was prepared a little differently from most Indian food I've had in the U.S. For example, the samosas were delicious, but the pastry part of them was closer to eggrolls than most samosas I've had. In the end, Avani's food was as good as or better than my favorite Indian restaurants in the U.S.